For the last week, I have been hacking on a new release of Mitsuba (0.3.0), which will be publicly released in another week or two. 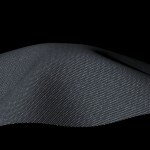 Its main new feature is a complete redesign of the material system, specifically the surface scattering models (a.k.a. BSDFs). 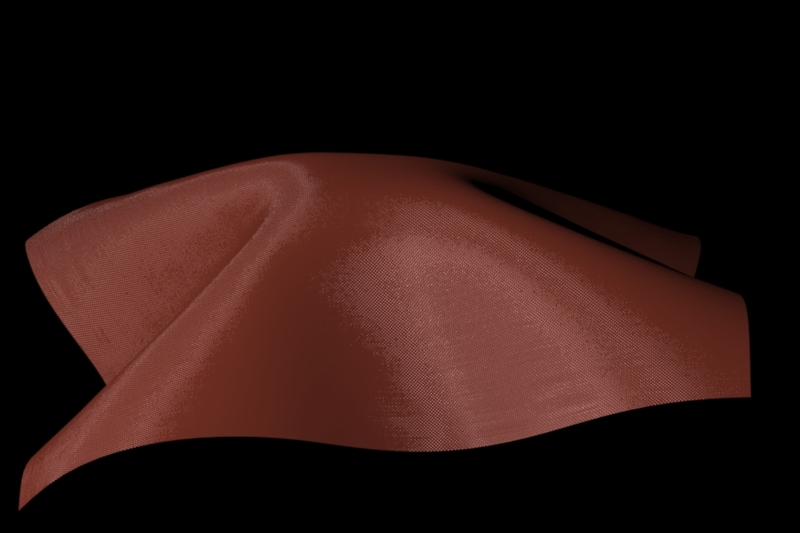 I’ve become increasingly unhappy with the state of this very important part of the renderer and finally decided to redesign it from scratch. I have just merged most of these developments into the main branch. Since other researches using Mitsuba might be concerned about the many changes, this post is meant to quickly summarize what is going on. 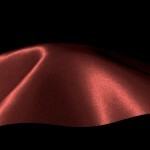 Spectral rendering: most of the code pertaining to spectral rendering has seen a significant overhaul. It is now faster and in certain cases more accurate. Flexible material classes: the changes introduce a robust and very general suite of eight physically-based smooth and rough (microfacet-based) material classes. The smooth plugins are called diffuse, dielectric, conductor, and plastic. The equivalent rough microfacet models are called roughdiffuse, roughdielectric, roughconductor, and roughplastic. Please see the documentation link below for an overview of what these do. 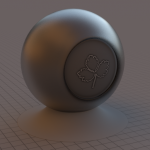 bump: applies a bump map specified as a grayscale displacement texture. 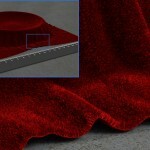 coating: coats an arbitrary material with a smooth and optionally absorbing dielectric layer in the style of [Weidlich and Wilkie 07]. 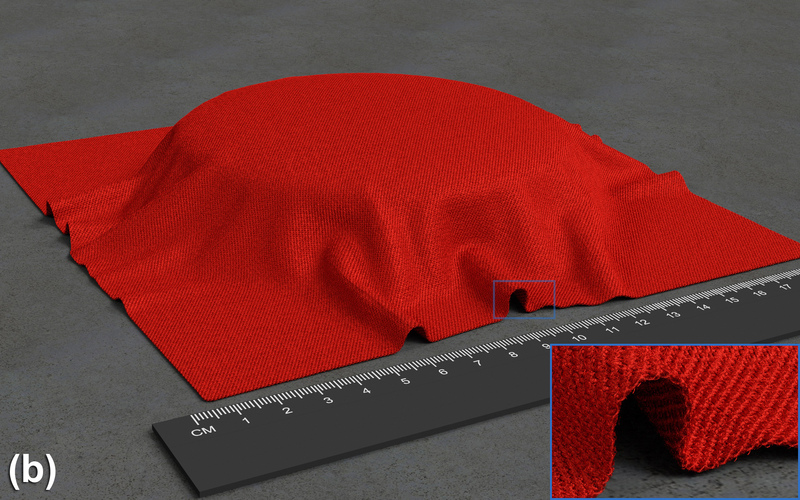 Material verification: the sampling methods of all material models in Mitsuba are now automatically verified with the help of statistical hypothesis tests (using χ²-tests). Generated documentation: there is now a javadoc-like system, which extracts documentation directly from the plugin source code and stitches it into a LaTeX reference document. lookAt: Mitsuba inherited a bug from PBRT, where the <lookAt> tag changed the handedness of the coordinate system. This is now fixed—also, the syntax of this tag has changed to make it easier to read. When it is detected that there are incompatibilities between the file version and the current release, Mitsuba will apply a set of included XSLTtransformations, which upgrade the file to the most current file format. That way, scenes will always work no matter how old they are, while at the same time allowing large-scale changes to be made without the need for an (ugly) deprecation mechanism. To upgrade to this release, simply pull from the main repository as usual (hg pull -u). Note: you will need to update your config.py file with an appropriate file from the build directory, since there were some changes to the compilation flags. Due to a server crash, this webpage was unavailable for the past two days. For some reason, both the mainboard and hard disk broke down. There was a recent backup, hence nothing of serious importance was lost. Every once in a while, I need to create an image that truly takes a very long time to render in Mitsuba, to the point that I am simply not willing to wait that long. In some cases, this just means that an inefficient algorithm somewhere in the code had better be replaced. But in other cases, the algorithms are all fine, and it’s really the scene’s fault for being excessively complicated. Such circumstances leave me with only two choices: 1. I can adjust my expectations and simplify the scene, or 2. throw a huge amount of processing power behind Mitsuba, and make it go fast. In this blog entry, I will explain how to do the latter with the help of Amazon’s Elastic Compute Cloud (EC2). The business model of EC2 is to rent on-demand processing power to individuals and companies. 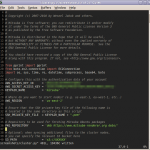 If you have a job that requires several Linux machines for a few hours, you’re in business. 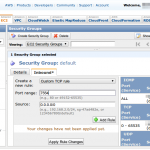 Probably the most common use of EC2 is to host web applications that scale dynamically. 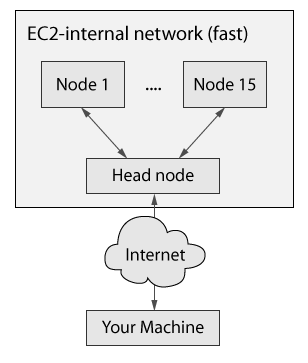 In that scenario, the web server is able to respond to heavy load situations by automatically buying additional EC2 nodes until the load reverts back to normal conditions. EC2 can also be used to render images, and Amazon offers a particular kind of machine (in EC2 lingo: instance type) that is well-suited for this purpose. In particular, their c1.xlarge, or High-CPU Extra Large instances each have 8 cores and 7GB of RAM and currently cost about $0.68 per hour on the East coast. This price compares favorably to maintaining a compute cluster around the year, which only sees 100% use during a small portion of that time. Although the normal EC2 prices are reasonable, it would be nice if there was a way to spend even less. One such approach involves buying idle capacity from Amazon based on a current “stock price” (EC2 lingo: spot price), which they assign to each kind of machine. The idea is as follows: one makes a bid for a certain amount of capacity, e.g. “I’m willing to run this job, if I can do it for less than $0.30 per hour and machine”. As soon as the spot price drops below the bid amount, the requested machines are booted up automatically. As long as they run, only the spot price is incurred (as opposed to the higher bid amount). This spot price usually lies noticeably below the regular EC2 prices — for instance, as of this moment, a c1.xlarge machine on the East coast only costs ~$0.23 per hour. But here is the caveat: if at any time, the spot price exceeds the bid amount, your machines are turned off without so much as a warning (which obviously doesn’t work well for many kinds of workloads). It is worth noting that one only has to pay for every fully completed node hour in this case. Since no irreparable damage occurs when a node disappears (other than having to redo the last still or animation frame), I usually prefer the cheaper spot price approach to having guaranteed availability. Assuming that you’re signed up with EC2, you should be able to step through the following description to get Mitsuba up and running on a few machines and run a parallel render job. It is Linux/OSX-centric, hence the actual commands may differ a bit when doing this on Windows. Legal disclaimer: Some of the following will cost actual money — while I have done thorough tests, I can make no guarantees on the correctness of the launcher script and the information provided here. 1. 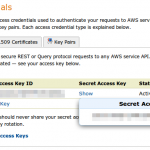 After logging into the AWS Management Console, click on “Your Account” and “Security credentials”. 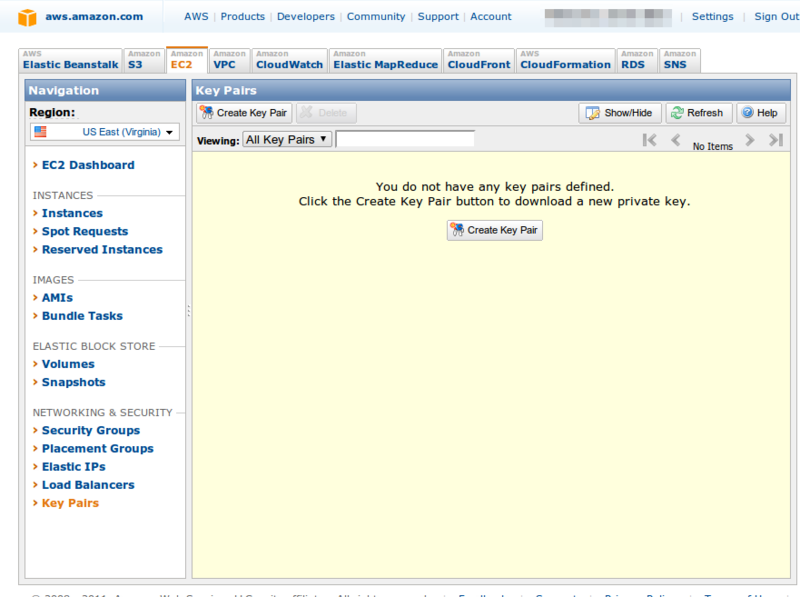 Towards the bottom of this page, you should be able to see your Access Key ID, as well as the Secret Access Key. Make note of these two values. 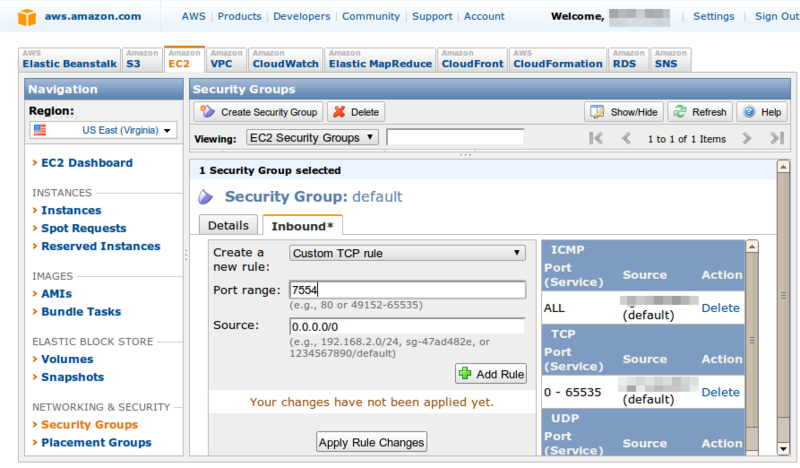 Now, click on the EC2 tab in the AWS Management Console and add an inbound TCP rule to the default security group. 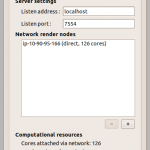 The rule should open port 7554 without source restrictions (i.e. 0.0.0.0/0). 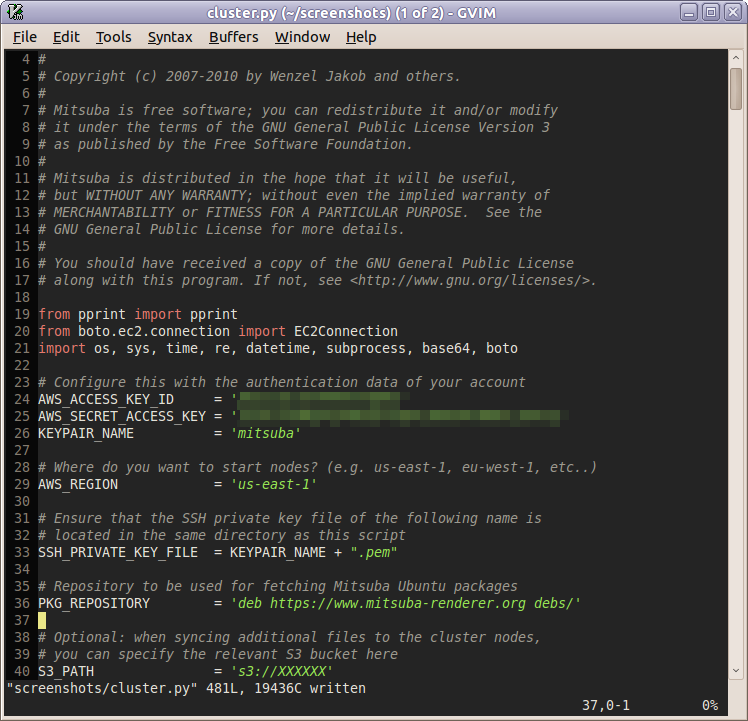 Add another such rule for port 22 (for secure shell access). 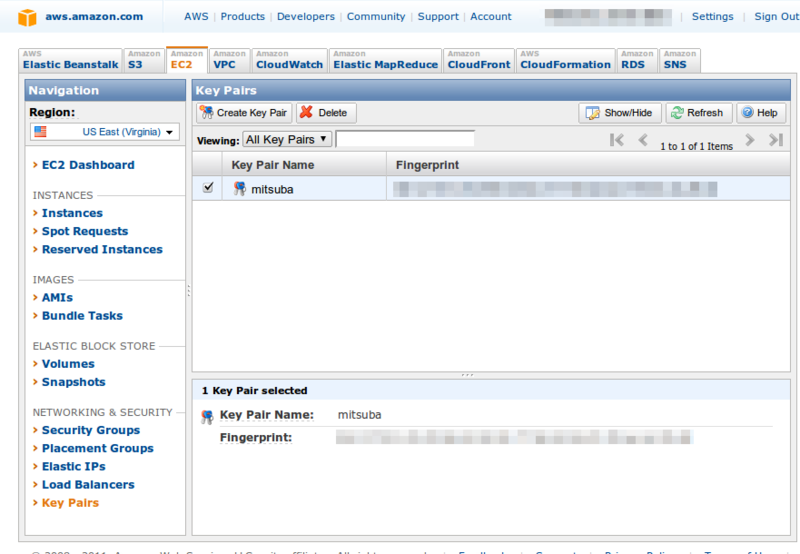 Next, create a new key in the control panel labeled “Key Pairs”. The browser will prompt to save a .pem file, which you can save into a new directory (e.g. mitsuba-ec2) with a filename matching the key pair name (for instance: mitsuba.pem when the key pair was named mitsuba). Now, create a clean copy of data/ec2/cluster.py from the Mitsuba distribution and place it into the same directory. You will need to modify a few values at the top. 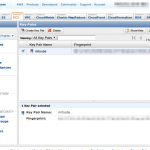 In particular, the access key, key pair, and region fields all need to be filled out. When building a custom version of Mitsuba, you will also need to modify the PKG_REPOSITORY attribute to point to your own repository. The following command allocates a specified number of spot nodes from EC2 and boots them with a stateless version of Ubuntu Maverick (64 bit). These are perfectly standard Ubuntu machines — to obtain shell access to any one of them, pass the host name seen seen in the previous command to the login command, e.g. 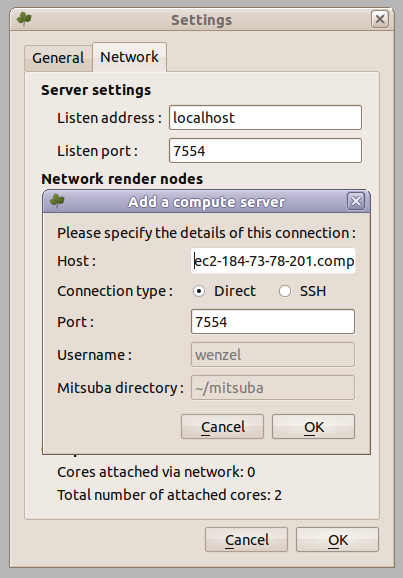 Creating a Mitsuba cluster using the nodes of group "myGroup"
The host name in this last command is the head node of the cluster. 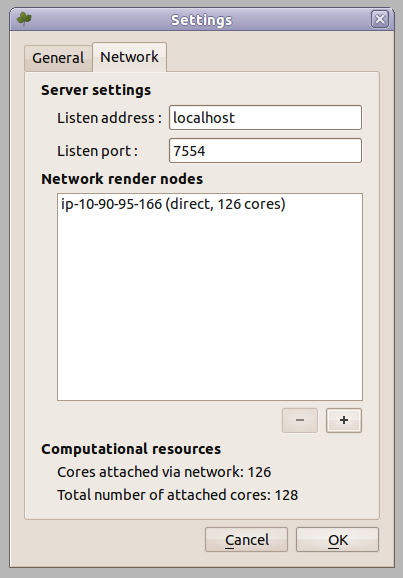 To save network bandwidth, the head node transparently provides access to all cores in the cluster without you having to create internet connections to 16 separate machines. 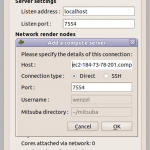 To use the cluster, simply add this machine in the rendering preferences of the Mitsuba GUI or provide it using the -c parameter when rendering from the command line interface. to shut down the machines and stop any charges to your account (note: Amazon will bill you for any partially used hours). This guide only covered the most basic use case; more advanced features also supported. For instance, to do some serious rendering with volumetric datasets, I usually upload the (multi-gigabyte) volume data files to Amazon S3 ahead of time. After booting up a cluster, I use the syncData command to have all cluster nodes simultaneously download those files over the EC2-internal network (this does not incur any network charges). Another useful feature is that multiple users can simultaneously create Mitsuba clusters on a single account without interfering, as machines are always referred to using group names. In case you are wondering why this blog suddenly looks so different: I have moved it to WordPress after continuously running into problems with the previous system. On another note: today or tomorrow, a long-overdue release of Mitsuba will be released. Stay tuned! As SIGGRAPH submission deadline is drawing closer, I might not respond to support requests / bug reports over the next 6 weeks. Please don’t be put off — Mitsuba development will pick up at the usual pace once the deadline is over, but for now I must concentrate my efforts on the submission. The COLLADA importer is more robust and should handle most scenes (hm, this sounds familiar). 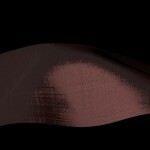 Rather than generating hundreds of translated mesh files, the new version instead produces one single compressed file. 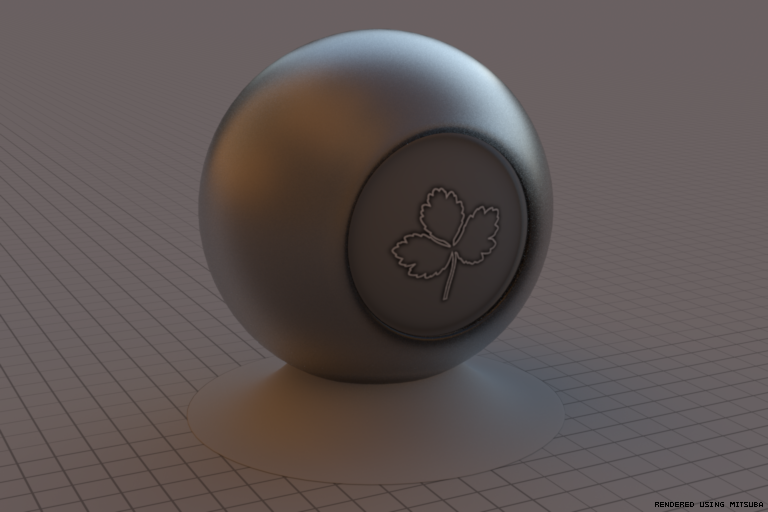 I’ve added an experimental plugin for Blender 2.5 integration, including a custom material designer. 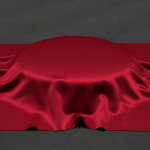 Since it depends on features which won’t be in Blender until the upcoming 2.56 release, it is currently necessary to compile Blender from SVN to use the plugin. Many thanks go to Doug Hammond for providing his excellent EF package, which the plugin uses extensively. Instancing support was added, and there is limited (rigid) animation support for shapes. Edgar has kindly contributed patches to compile Mitsuba using the Intel C++ compiler. Official windows 32-/64-bit builds now use this compiler, since it produces faster-running executables (in comparison to Visual Studio). The XML schema of the scene description language is now less picky. Specifically, it is possible to specify properties and objects in an arbitrary order. 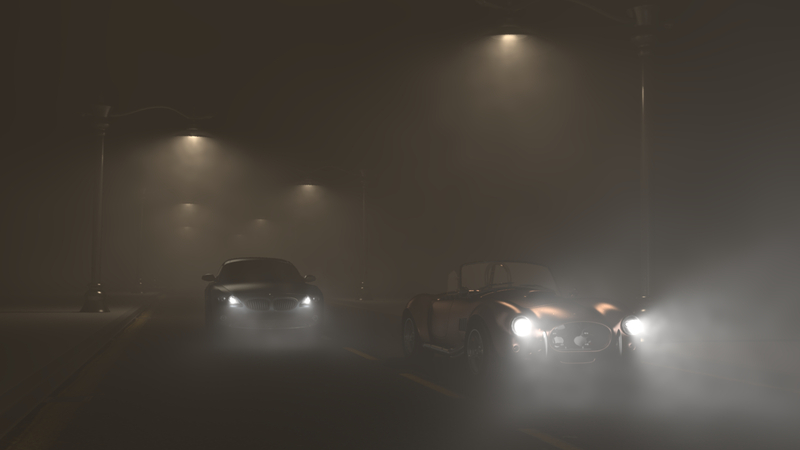 Luminaire importance sampling is more flexible. The previous implementation sampled a light source proportional to its power, which was often exactly the wrong thing to do. In this release, the sampling weights can be manually specified. 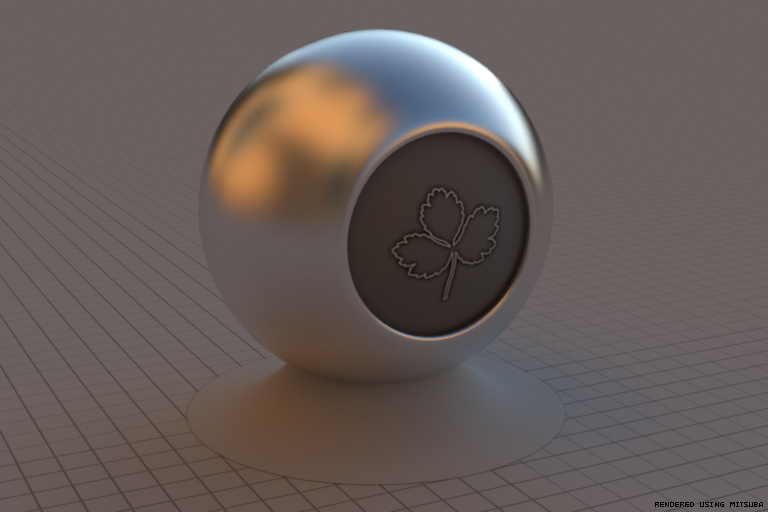 Severe lock contention issues in the irradiance cache were fixed (these resulted in slow performance when rendering on many cores). 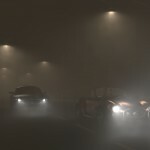 As usual, a large number of bugs were also fixed. The documentation is still rather incomplete, but I’m working on it. Check out a copy of the ‘dependencies’ repository at https://www.mitsuba-renderer.org/hg/dependencies and place it into the Mitsuba directory (e.g. C:\Mitsuba\dependencies), i.e. Replace your ‘config.py’ file with a fresh copy from the ‘config’ directory. Note that a few more options exist now — specifically on Windows, the Intel C++ compiler is now supported (thanks, Edgar!). Remove the ‘mitsuba/tools’ directory (if it still exists after the last three steps). The upcoming release of Mitsuba will incorporate a few rather big changes under the hood. The most significant one is that a fairly large piece of code, the kd-tree construction and traversal logic, has been rewritten from scratch. There were a few reasons for doing so: the old code produced reasonable kd-trees, but it was quite slow, used excessive amounts of memory, and it only ran on a single processor. Of those three, the memory requirement was perhaps the most problematic: if each triangle causes a temporary overhead of about 20x of its storage cost, big scenes become a problem.. For example, my laptop would just crash when I tried to load the 28 million triangle Lucy mesh from Stanford. Part of the problem lies with the commonly used algorithm for constructing kd-trees: it represents shapes using abstract “bounding box events”. Even using various optimizations, these events alone take up so much memory that one might run out of it without having generated a single kd-tree node. The new implementation uses an approximate kd-tree building strategy (“Min-Max binning”) to generate the top of the kd-tree, which avoids creating massive amount of bounding box events. Once geometry has been partitioned into groups of less than <64K elements, the more accurate traditional O(N log N) builder takes over. An extra benefit of this approach is that it leads to much more coherent memory access patterns. The build process now uses a custom memory allocator, which is specifically optimized for the allocation/deallocation sequences seen during kd-tree construction. The construction runs in parallel: independent subtrees are assigned to different cores as they become available. This scales quite well, since most of the cost in constructing trees is at the leaves. A rather wasteful data structure for triangle classification has been packed so that it only needs two bits per entry. The best part: the resulting trees are also of much higher quality than those made by the previous implementation, which gives a 20%-30% speedup essentially for free. When running the builder on standard scenes, the final SAH costs (a kd-tree quality metric) now come within 1% of those listed in the seminal paper “On building fast kd-Trees for Ray Tracing, and on doing that in O(N log N)” by ray-tracing gods Ingo Wald and Vlastimil Havran. 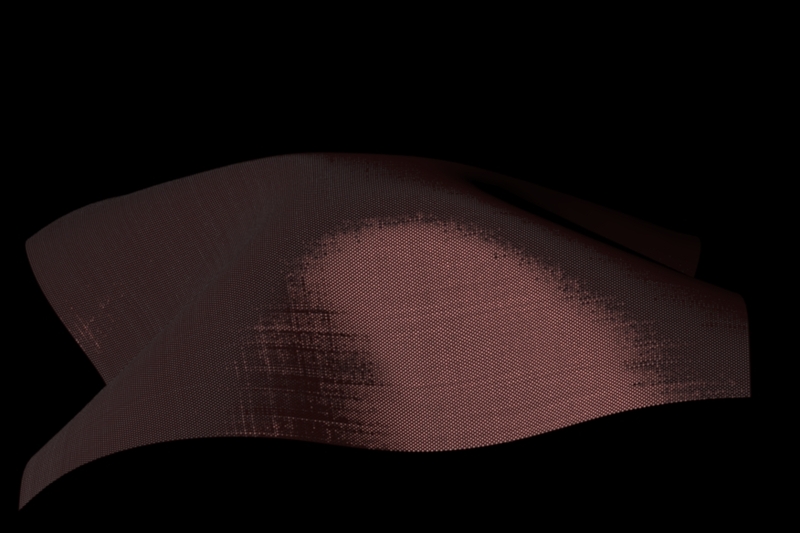 So as far as optimization goes, I think I’ve reached the limit of what is possible using this method. 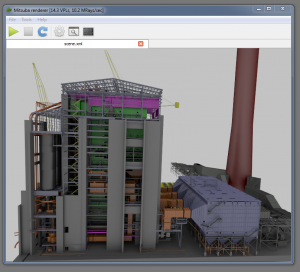 These changes make it possible to use Mitsuba for interactive visualizations of very large scenes, such as the UNC Powerplant (a popular benchmark scene with 13 million triangles). The next release of Mitsuba will include documentation on many of the available plugins, especially materials. 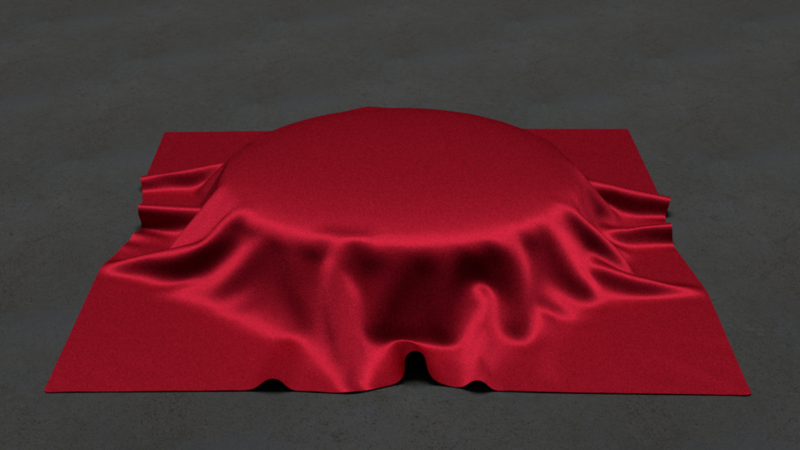 For this purpose, I’m currently modeling a material test scene to demonstrate the effects of various parameters in an intuitive way. Caution: programmer art follows! Please create a report on this website whenever you find a bug in Mitsuba. It will be easiest to fix if you can also attach a scene file, which reproduces the error. The user interface now has a fallback mode when the graphics card is lacking some required OpenGL features. 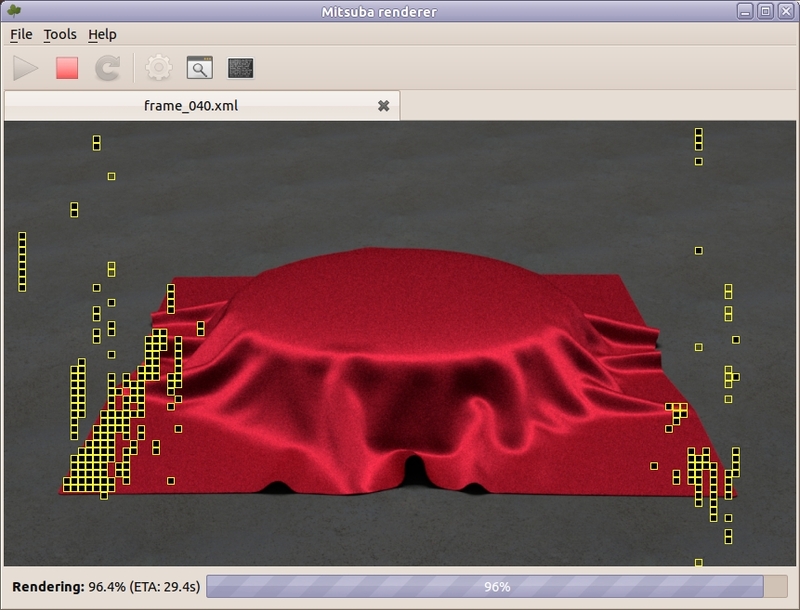 The Mitsuba user interface now also doubles as an EXR viewer / tonemapper. 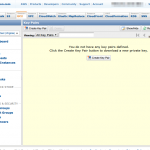 Drag an EXR file onto the UI or open it using the File menu, and the image opens in a new tab. 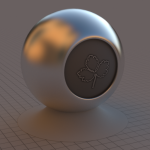 Afterwards, it is possible to export the image as a tonemapped 8-bit PNG image. 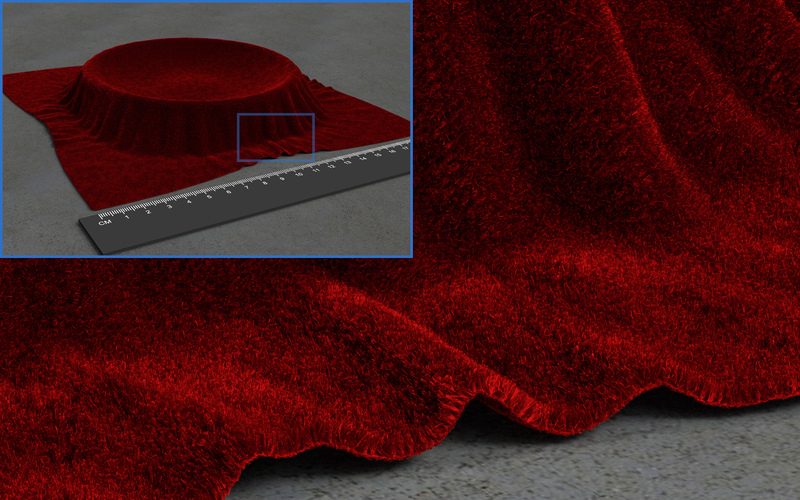 The realtime preview now has a ‘force diffuse’ feature to improve convergence in scenes with lots of glossy materials. 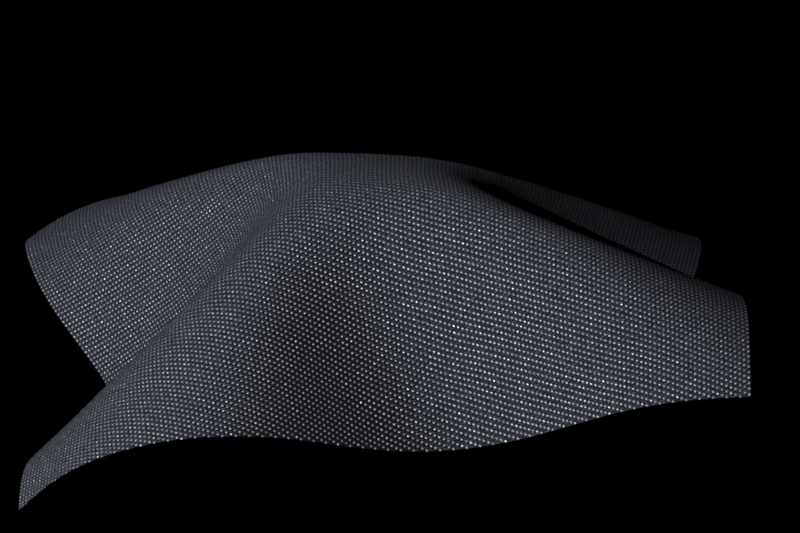 New material types: composite, difftrans, transparent, mask. 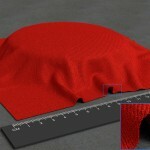 ldrtexture: support for loading uncompressed BMP and TGA images. When working on a larger project, one often needs to implement various utility programs that perform simple tasks, such as applying a filter to an image or processing a matrix stored in a file. In a framework like Mitsuba, this unfortunately involves a significant coding overhead in initializing the necessary APIs on all supported platforms. To reduce this tedious work on the side of the programmer, the Mitsuba repository now contains a utility launcher called mtsutil. This binary loads simple “utility plugins”, which can now be as small as a few lines of code. Because mtsutil takes care of initializing the whole framework (including network connections to remote compute nodes), they provide a convenient solution to parallelize non-rendering workloads over many machines. The documentation contains a code example on how to do this. Other changes in the repository are a much-improved COLLADA importer and import capabilities from within the GUI. 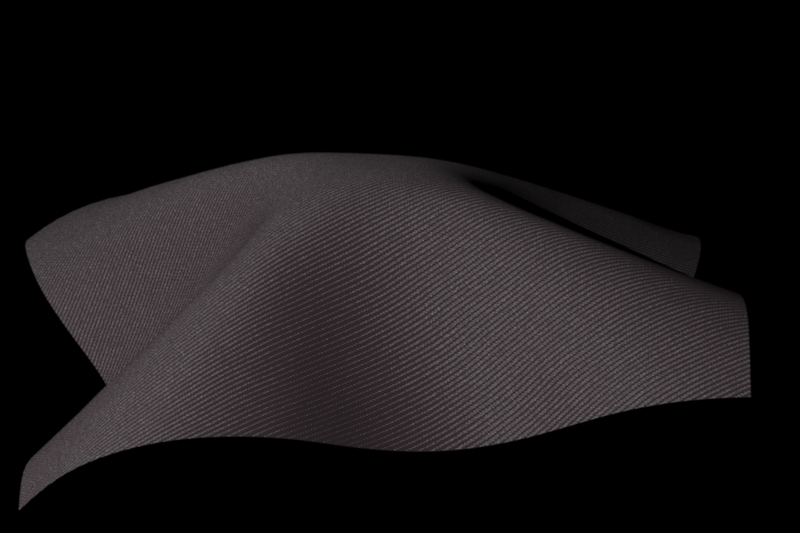 At this point, it should be able to handle most scenes exported by Maya or Blender (I haven’t tested other programs yet). 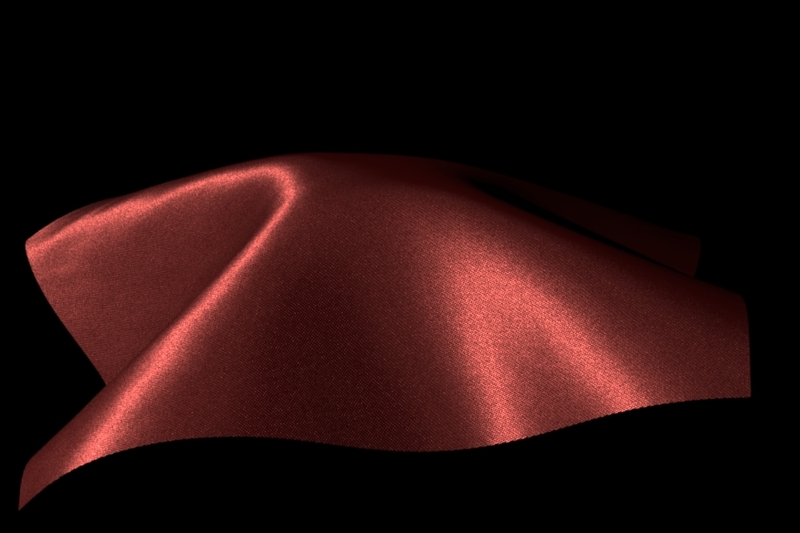 Amongst other things I’m currently writing some documentation for the renderer. 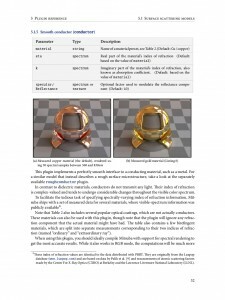 An incomplete first draft can be found here for those who are interested: http://www.mitsuba-renderer.org/documentation.pdf. To better coordinate changes and developments in the Mitsuba renderer, I’ve decided to set up a developer blog. My goal is to write on the current state every few weeks or more often when necessary. If you’re interested in participating, please let me know and I’ll add you to the blog.